It's YOUR special day, dietitians! Your friends at Today's Dietitian recognize your impact on society and the important research, advice, and knowledge you share with us all. To celebrate this important day, we're offering a 25% discount off of any new subscription or renewal from today, March 12 – Friday, March 16. 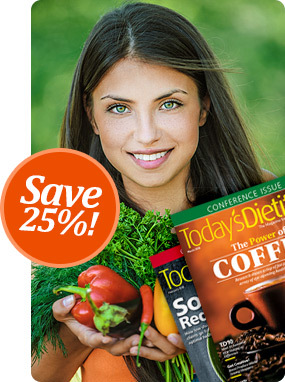 Just visit our special subscription page to take advantage of the savings! Offer available to U.S. subscribers only.